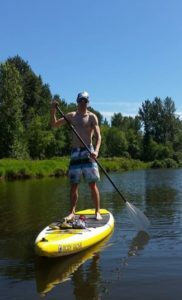 David works as a Physical Therapist Assistant and Licensed Massage Therapist in Bellingham, and coaches for Team Run Run. He enjoys spending his free time meeting up at local breweries, stand up paddle boarding, playing tennis, hiking, snowshoeing, reading, and watching a good series on Netflix. David has been sponsored by Hammer Nutrition since 2012; Hammer products are his exclusive fuel source for training and racing. New Hammer Nutrition customers can save 15% off their first order with the code 196587! David’s fondest race memory took place at the 2013 Padden Triathlon. 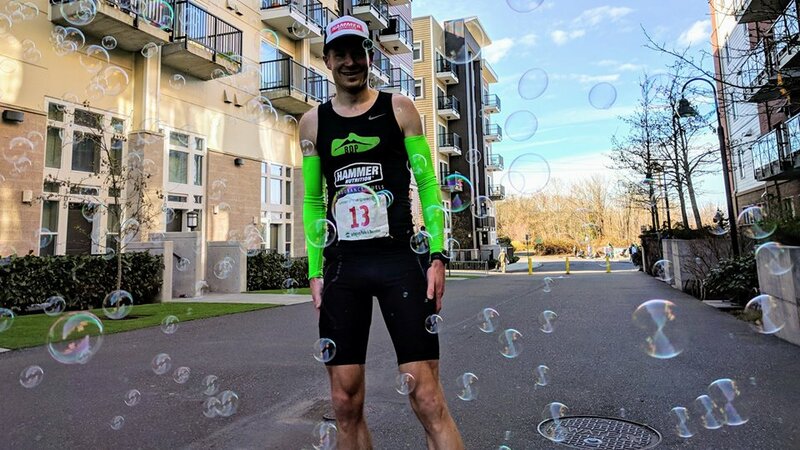 It was one of those races where everything came together, the best part of which was hearing the local cheers from Bellingham friends, and finishing just under the previous course record, which currently stands as the CR at the event. Jojos with BBQ and Ranch.